Jieh-Shian Young was born in Taoyuan, Taiwan, in 1964. He received the B.S. in Department of Mechanical Engineering from National Chiao Tung University, Hsinzhu, Taiwan, in 1986, and the M.S. and Ph.D. in Institute of Aeronautics and Astronautics form National Cheng Kung University, Tainan, Taiwan, in 1988 and 1991, respectively. 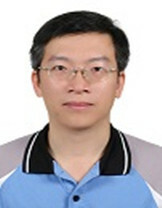 From 1991 to 2004, he was a scientist in Chung Shan Institute of Science and Technology (CSIST). He is currently the professor and chairperson of Institute of Vehicle Engineering, National Changhua University of Education. His main research interests are centered around the theory and application of robust control, control, robust antiwindup synthesis, steering control, flight control and simulation, mission planning system of tactical fighters, interactive 3D animation programming, automotive electronics, etc.